Robert and Melissa Ribley long ago hopped into the saddle of endurance riding and have been enjoying the sport ever since. But 10 years ago the Ribleys came up with a ride of their own right here in their western Nevada County backyard that has been a hit with endurance riders since its inception. The Wild West Endurance Ride will once again hit the trails - and this year will celebrate what's been a whole decade of fun for horseback riders - this weekend at Skillman Campground. SHAMONG — The New Jersey Trail Ride Association held its 46th 100-mile trail ride on May 9-11. Concurrent with this were 50- and 30-mile rides. The event was held at Holly and Hugh MacDonald’s farm, Hollyview. A short distance west of the farm was an entry point to Wharton State Forest through which the three separate distance rides traversed. The rangers of the Wharton State Forest and the New Jersey State Police were available to assist if needed. Amateur radio operators were also stationed in the forest so the location of the horses and riders was known at all times and help could be summoned quickly, if needed. Horses can not be entered until they are 4 years old, and only for distances no greater than 25 miles. At 5 years old they can be entered for any distance. The New Jersey 100-mile trail ride occurs over three days, with 40 miles covered the first day, 40 the second, and 20 the third. Lexington, KY, May 15, 2008 – M. R. Riders 4-H Club of Campbell County was recently awarded a $1,000 grant from the Kentucky Horse Council. Members of the club compete as a team year round throughout the state at endurance riding competitions. Typically the young riders and their horses compete by traveling an average of 25 miles over challenging terrain in a timed event. As they accumulate good scores and better fitness levels they enter endurance races of further distances. 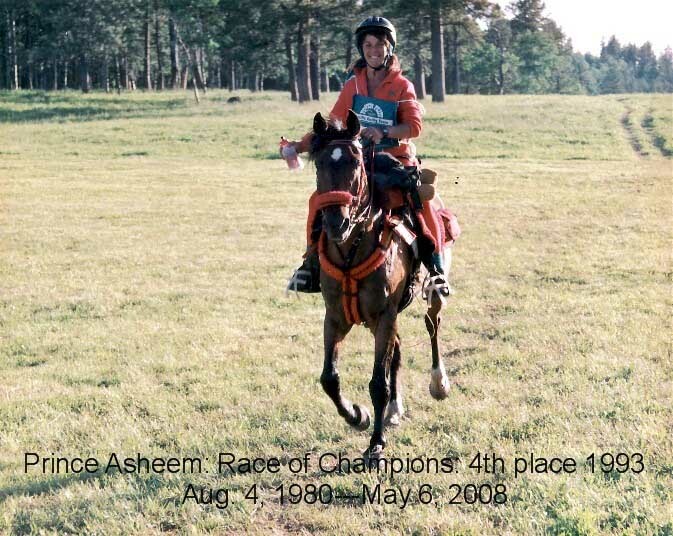 Those wishing to qualify for the 2009 US Endurance Riding team must be competing at 100 mile races. M.R. Riders will use the grant to purchase blankets to protect their horses at winter competitions. Often during overnight competitions the youthful competitors camp with their horses at primitive sites which do not offer shelter for the animals. By covering the resting horses with blankets their muscles will stay warm, enabling them to compete more comfortably and safely. “The Kentucky Horse Council is pleased to support the efforts of M.R. Riders 4-H Club. Endurance riding provides a great lesson in delayed gratification as the students condition themselves and their horses well in advance of competitions,” remarked KHC Board President, Madelyn Millard. ABOUT THE KENTUCKY HORSE COUNCIL - The Kentucky Horse Council is a non-profit organization dedicated, through education, to the protection, growth and development of the equine industry in Kentucky. The Kentucky Horse Council provides educational programs, grants, scholarships, personal liability insurance, trail riding programs, and an annual statewide equine industry directory. My good old friend just gave me his last favor... he died before the person arrived whom I'd called to have him put down. So I knew beyond a shadow of a doubt I'd made the right call... and I didn't have to suffer second thoughts. His last minutes were very peaceful... he had probably ruptured, so the pressure was off and he felt less pain. Although his pulse was over 100 and he'd broken out in a sweat, he got up from where we'd been lying and walked around the sun-lit meadow with me for about 40 minutes, stopping to rub his head against my leg, looking around, clearly aware. Then he crashed down and died.